The discovery of a skeleton buried in the basement of the Carroll family home last month has not relieved the children's pain over George Carroll's disappearance in 1961. The fate of George Carroll, a Korean War veteran from Lake Grove who mysteriously disappeared in 1961, has shadowed his children like a dark cloud their entire lives. The mother told her four kids that their father simply left the house one day and never came back, while others said Carroll had abandoned the family and maybe even returned to Korea. Some people, meanwhile, suggested their father had met a more nefarious end — and was buried in the basement of the family's home. The discovery of an intact skeleton beneath the floor of the basement of the family’s Olive Street home right before Halloween has not alleviated the children’s anguish, but it has given them hope that they may some day answer some of their decades-old questions about their dad. “I want to emphasize how important it is for my family to heal and that they find a way to make peace with this,” said Michael Carroll, 57, a respiratory therapist who has lived in the Lake Grove home almost his entire life. The skull of the remains found in the basement Oct. 30 had been fractured by blunt force trauma, according to Det. Lt. Kevin Beyrer, the head of the Suffolk police homicide squad, further compounding the mystery. Construction was underway at the house when George Carroll, then 26 or 27, went missing, Beyrer said. Investigators suspect the missing man may have been buried by a worker or someone else who had unfettered access to the home. Authorities say they will use DNA testing to determine if the remains are those of George Carroll, but they caution that the bones may not yield enough DNA to make a definitive identification. Even if enough DNA can be extracted, officials may not be able to make a determination until the end of December or early January. Investigators may never learn the cause of death for the person buried in the basement grave, which remained undisturbed for decades until Oct. 30. 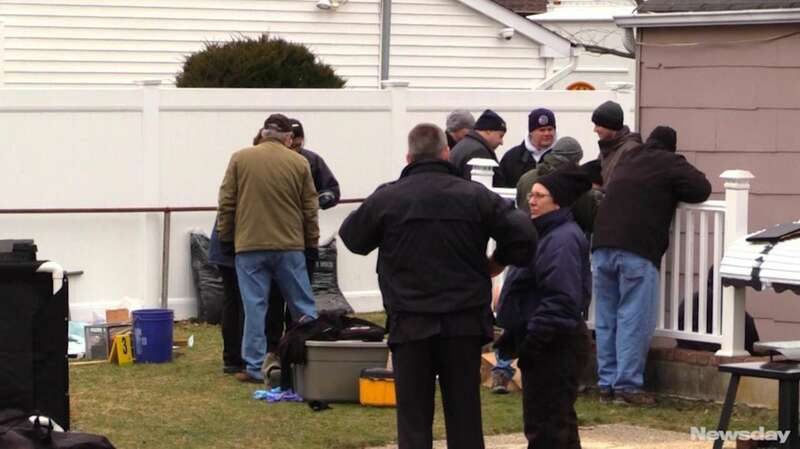 Suffolk County Medical Examiner Michael Caplan cautioned that injuries to skulls or other bones could have occurred after the person died. Beyrer said investigators believe nobody — including George’s wife, Dorothy Carroll — ever filed a missing-person report with the Suffolk County Police Department. Michael Carroll, who bought the home from his mother in the 1980s, said he is already convinced that the bones found in his basement are the remains of his father. He said the discovery has roiled his family and reopened deep emotional wounds created when his father went missing 57 years ago. His brother Steven, 61, was 5 years old when their father vanished; his sisters, Patricia and Jean, who have not responded to requests for comment, were 9 and 7 years old. Michael Carroll, now 57, was just 8 months old. Michael Carroll said the last person who might have direct knowledge about his father’s whereabouts was Dorothy’s second husband, Richard Darress, who moved into the Lake Grove home shortly after George disappeared. Darress, a trucker, died in Mexico this summer, Michael Carroll said. “He would have been someone we would have wanted to speak with,” Beyrer said. Carroll said he started digging up his basement earlier this year, but he stopped because he feared the work would damage the structural integrity of the home. He later brought in a man who used ground-penetrating radar to examine the soil under the basement. which indicated a specific place with a disturbance in the soil five or six feet below the surface, Carroll said. He decided to dig. Michael Carroll’s adult sons Michael Jr. and Christopher took over the dig a few months ago. After cutting through concrete that covered an old well, they found the bones at about 10 p.m. on Oct. 30. Michael Carroll notified his family about the discovery and called Suffolk police the next day. 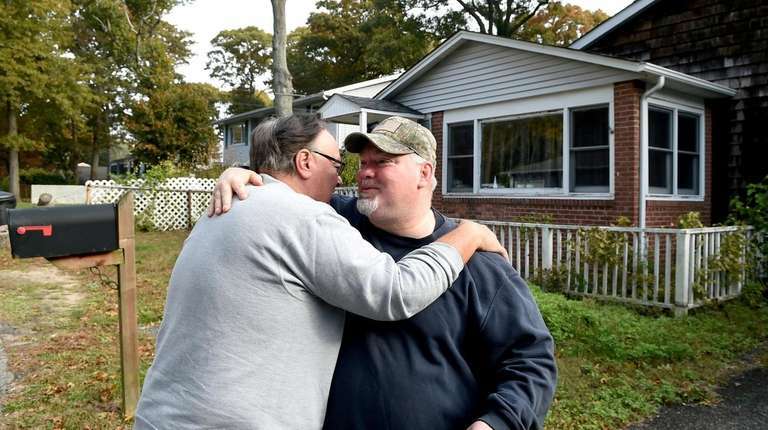 Authorities may never be able to definitively determine what happened to George Carroll, but if the bones do belong to his dad, Michael Carroll wants them interred at Calverton National Cemetery in Riverhead.